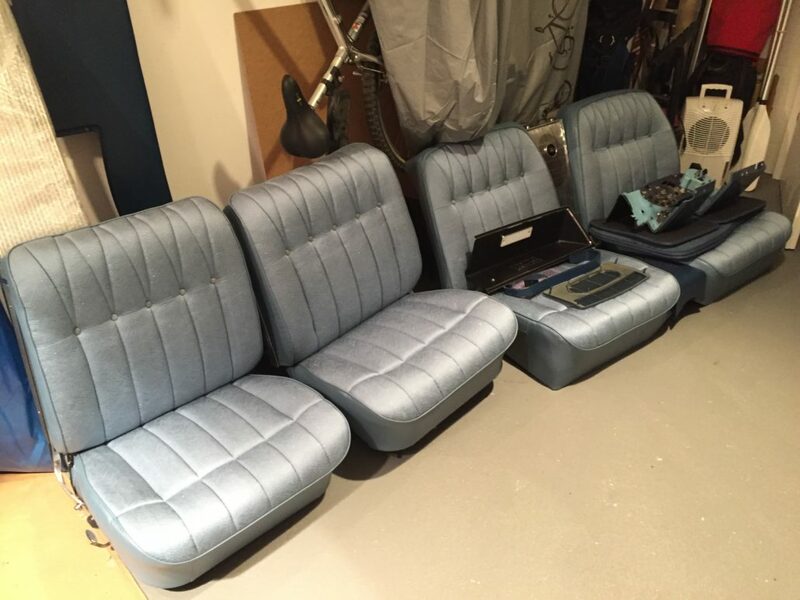 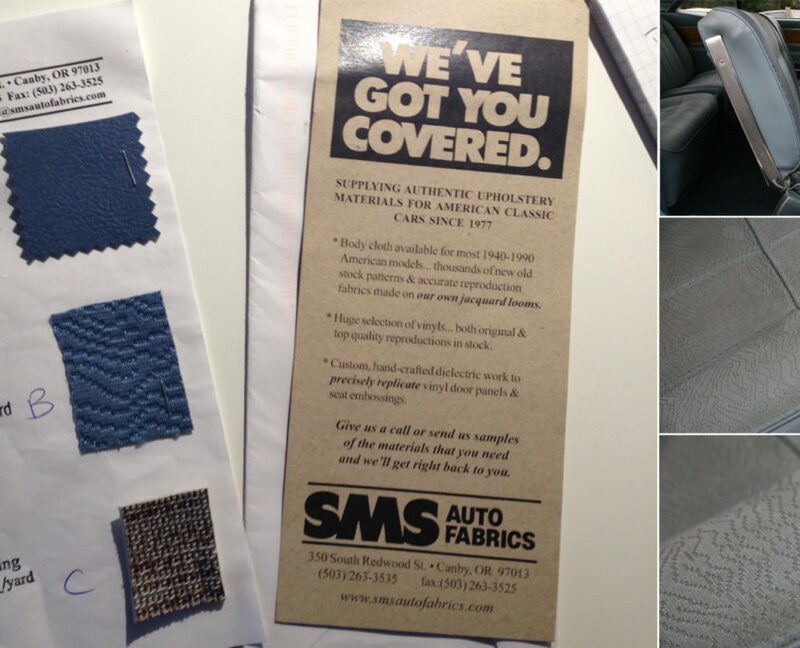 Where I got my original luxury seat covers from… SMS Auto Fabrics made just a great job! 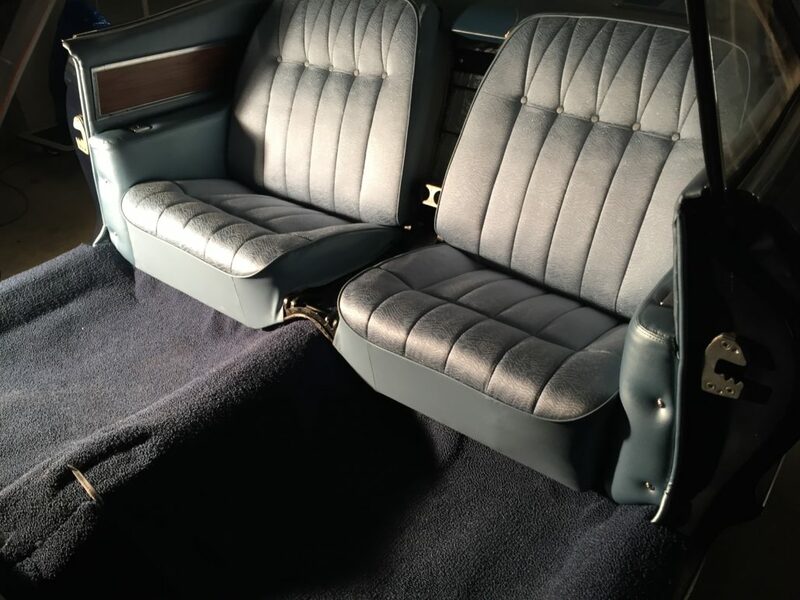 SMS has supplied quality classic auto interiors since 1977. 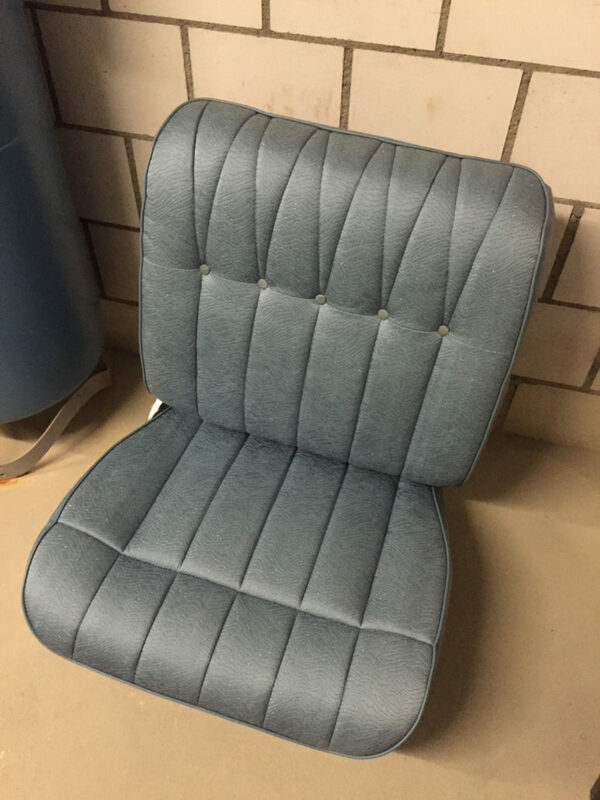 They have one of the largest inventory of automobile cloth and vinyl, and can provide auto upholstery, headliners, vinyl tops, and carpet for every American car from 1930 through 2000. 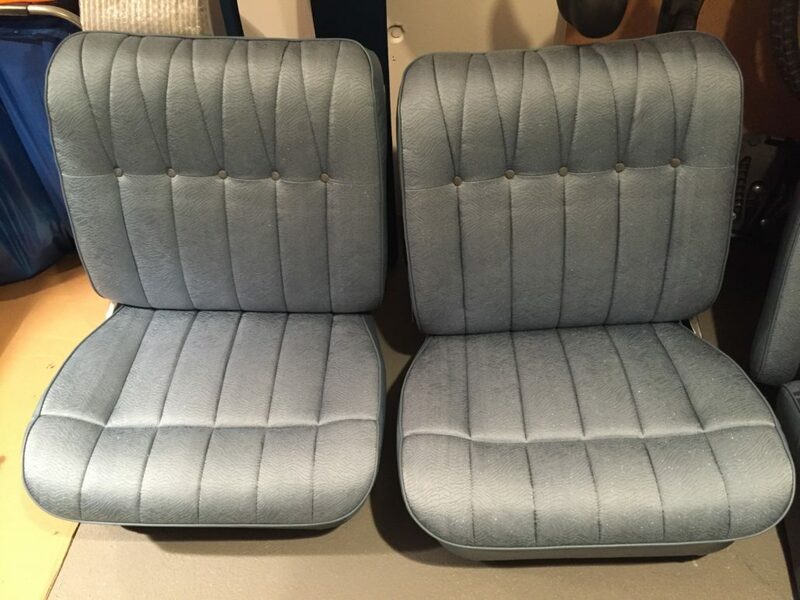 They also manufacture and supply exact reproduction interior door panels for cars from 1950 through the early 1970s. 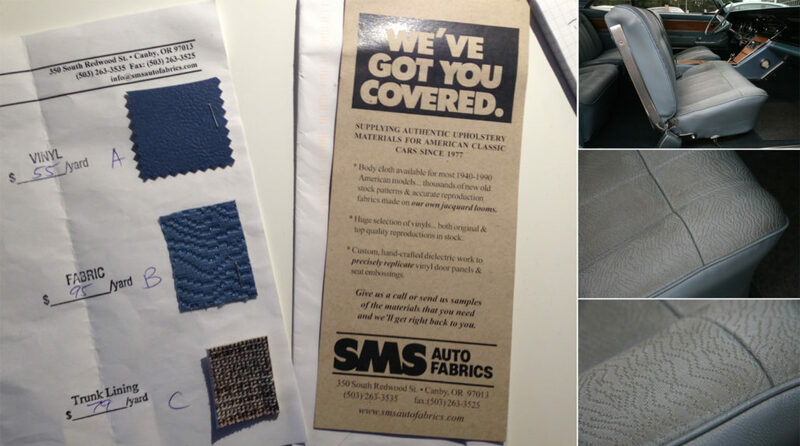 Whatever your interior need, SMS can help!